Tense situation on the Tajik-Kyrgyz border continues amid talks between the authorities of the two neighbouring countries. 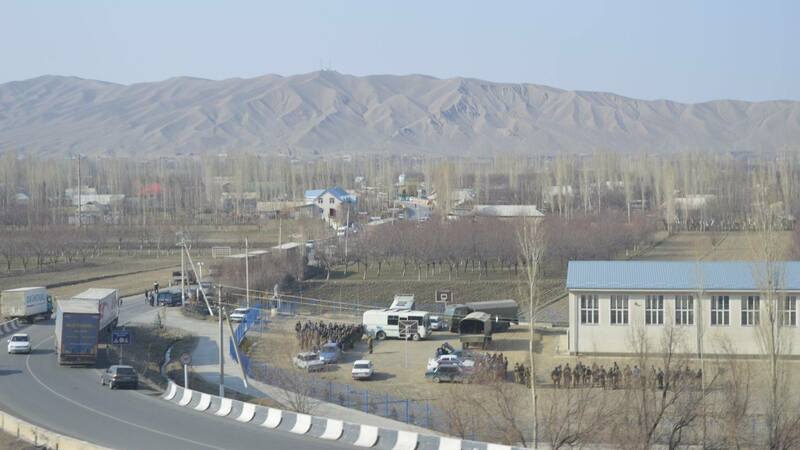 In a statement on Friday (March 15), the Kyrgyz government said people from Aksai and Koktash had been moved to Batken, the regional capital of the southwestern region that shares the same name, reported Radio Free Europe/Radio Liberty Tajikistan (RFE/RL) service. The Kyrgyz press service also said Deputy Prime Minister Jenish Razakov and Tajik Deputy Prime Minister Azim Ibrohim held talks and stressed on bringing calm to the area before a joint probe into the violence is launched. The clashes erupted on March 13 after the residents of Tajik village of Meknatabad started a protest against the construction of the Aksai-Tamdyk bypass road by the Kyrgyz authorities in the disputed section of the Tajik-Kyrgyz border, the RFL report said. Two Tajik nationals, including a teacher, were killed and 30 others wounded in two days of clashes between residents of Aksai in Kyrgyzstan and the Tajik village of Mehnatabad. Kyrgyzstan reported two injured including a police officer in gunfire on its side. 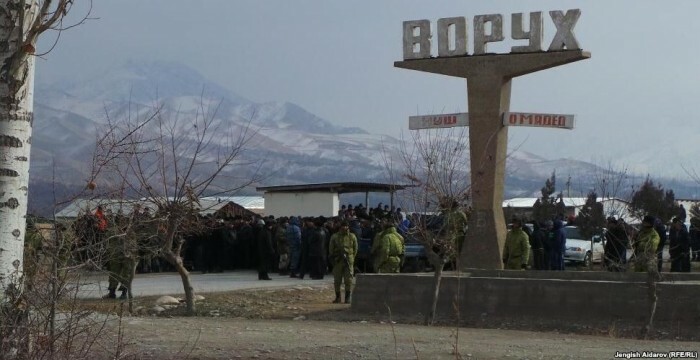 The Tajik Border Department blames the residents of Kyrgyzstan for instigating the conflict in order to seize the area. Kyrgyz President Sooronbai Jeenbekov and his Tajik counterpart Emomali Rahmon agreed during a March 14 phone conversation to push forward with talks on delineating their disputed borders and to launch a joint investigation into the shootings. Kyrgyz Prime Minister Mukhammedkalyi Abylgaziev and his Tajik counterpart Kohir Rasulzoda also discussed the border tensions in a separate phone call on Thursday, the Kyrgyz government’s press service stated. Kyrgyzstan has been attempting to build a new stretch of road in the area for years, amid disruptions and negotiations from the two countries to resolve the border dispute. Tajikistan insists the proposed road cuts through the disputed territory, and that it should not be built until a deal is reached on the demarcation of the border.Officials from both countries say construction work on the road has, once again, been halted while negotiators are discussing the situation. Many border areas in the Central Asian countries have not been demarcated due to disputes since the collapse of the Soviet Union in 1991. The situation is particularly complicated near the numerous exclaves (municipalities) in the volatile Ferghana Valley, where the borders of Tajikistan, Uzbekistan, and Kyrgyzstan meet. The conflict has subsided for now but is there any guarantee that such tragedies will not happen again, writes Haydar Shodiev in Asia-Plus? The mistakes made in the early years of the establishment of Soviet power by dividing territories along national lines became a real puzzle for the peoples of the defunct USSR, especially Central Asia. Their consequences are manifested in inter-ethnic relations today. Hardly any of the USSR architects could have thought that the powerful empire they had created would collapse. The result: dozens of disputed territories on the borders of the post-Soviet republics, which remain hot spots. One of such problem zones in the territory located around the Vorukh jamoat (local municipality). Now both Tajiks and Kyrgyz claim this land. 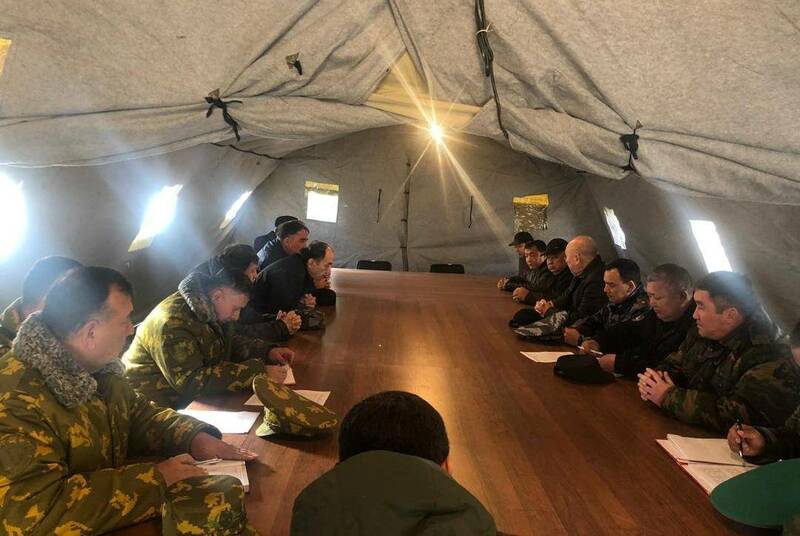 The meeting of law enforcement agencies of the two countries in the village of Kok-Tash, Batken District. The problem, according to experts, is that countries use the data of maps issued in different years when marking borders. Tajikistan insists on considering borders on the basis of maps of 1924-1939, while Kyrgyzstan insists on the right to determine the line of borders, taking into account maps of a later period. “For centuries, all these lands belonged to the Tajik, as evidenced by the ancient names of localities, historical monuments,” says historian Farrukh Bozorov. “For some reasons, the land with the silent acquiescence of our authorities became part of Kyrgyzstan. And today Vorukh is cut off from Tajikistan, and the only road connecting this jamoat to Isfara often overlaps its neighbour causing bloody conflicts often,” he noted. Water is of great importance for this predominantly agrarian region. During the irrigation period, both Kyrgyz and Tajik farmers face water shortage leading to frequent conflicts during this period. The intentions of the Kyrgyz authorities to divert a significant part of the Isfarinka River for the irrigation purposes is alarming not only for the residents of Vorukh but also leave Isfara and Kanibadam farmland dry, which is also irrigated from this river, writes Shodiev. Vorukh is a jamoat (municipality) in the Isfara District of Sughd province, bordering the Batken region of Kyrgyzstan with a population of over 34,000 people, of whom 99.99% are Tajik, 0.01% Kyrgyz. Tajik border service argues that completion of this road will lead to the stemming of a river and leave Vorukh without irrigation for its valuable apricot and walnut cash crops.